1. How do I get a duplicate certificate of title? Application is made in person at any county title office. There is a $15.00 fee. A picture ID is required as well as your registration or any other documents that verify the vehicle identification number. If the original title is lost, stolen, or destroyed, you may obtain a duplicate. If after issuance of the duplicate the original is recovered, it must be returned to the county Clerk of Court’s office for cancellation. 2. I just moved to Ohio, how do I get an Ohio title for my vehicle? If you have your jurisdictions title in your name, take that and a completed Out of State Inspection form (can be obtained at any Deputy Registrar's Office or almost all new or used car dealers in Ohio) to the Clerk of Courts Title office in any county. You are applying for a conversion title from your state to Ohio. If you do not have your title and it is being held by the lien holder or leasing company, please come in to the Title office to fill out information to request the title from the lien holder. Title from Lien holder will take up to 30 days. 3. My title does not reflect the correct vehicle identification number, how do I correct it? Contact the closest Highway Patrol Inspection station and ask to come in and have a trooper do a vehicle verification check on the car. Mail a copy of this form and a copy of the front of the title and a brief letter as to what the problem is and your phone number etc. to the Ohio BMV, Title Division. PO Box 16520, Columbus, Ohio, 43216-6520. We will locate the problem and do a correction letter so that you can proceed to your county clerk's office for a corrected title. 4. My insurance company has salvaged my vehicle, but I am keeping it and repairing it for my use. What steps do I need to follow? First apply for a salvage title in your name changing the status of your title from regular to salvage. (NOTE: The vehicle cannot be operated on the highway while evidenced on a salvage title). Upon completion of the repairs contact the closest Highway Patrol Inspection Station and make an appointment to have a salvage inspection done. ($50 fee) Take any receipts for repairs and new parts with you to the inspection. After the vehicle has successfully completed the inspection, take Form HP106 and your salvage title, and proceed to any title office and apply for a "rebuilt salvage" title. After all of these steps have been completed, the vehicle is now operable for highway use. 5. How do I transfer ownership of my vehicle to another person? On the back of your current title, at the top, complete the new buyers name and address, plus the purchase price. Complete the odometer certification area stating the mileage as it appears on the odometer. Right under the mileage area is the sellers notary section. This area must be completed and notarized. Next, the buyer must acknowledge the mileage as stated by the seller by filling in his signature and then printing his name. The seller should make a copy of the front and back of the assigned title and remove the plates from the vehicle. 6. How do I transfer an assigned title into my name? After receiving an assigned title, the new buyer can proceed to any Deputy Registrar's Office with the assigned title and purchase a 30 day tag. Within 30 days, proceed to the Clerk of Courts title office (in order to avoid a $5.00 late charge) in any county and apply for title in your name. You will also have to pay sales & use tax on the purchase price of the vehicle. The rate varies from county to county so phone ahead for your rate. If you have a lien holder, you will need a certified copy of your security agreement for the lien to be noted. 7. How do I record a lien on a motor vehicle? The Clerk of Courts Title Office in your area will require either a certified copy or the original security agreement along with the current title. The title office will produce a new title for this transaction; it is called a lien replacement and will cost $15.00. 8. I need to get a title history done on a vehicle, how is this done? Write or stop in to the Ohio BMV, Title Division, PO Box 16520, Columbus, Ohio 43266-0020 or 1970 West Broad Street; Columbus, Ohio 43223 and complete a title request form. You will need to supply the vehicle identification number, and the year and make of the vehicle. Each title history costs $5.00. This history will reveal all previous owner information if you meet the requirements according to the Driver's Privacy Protection Act (DPPA). Otherwise you will only receive vehicle information. 9. There is an abandoned vehicle on my property, how do I handle this situation? First, contact your local law enforcement office as each area has different rules on this. Some law enforcement agencies will come to your property and remove the vehicle, others will say it's on your property and you will have to find out who the owner is and contact them. If local law enforcement will not remove the vehicle, you would need legal advice and possibly a court ordered title to be put in your name. For additional information on abandoned vehicles please read the "Garage Owner Affidavit" pamphlet (PDF, 83KB). 10. 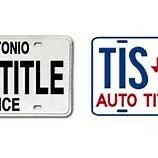 How do I title a vehicle purchased out of state? If you purchase a car out of the state from a private party, it is necessary the seller assign his title to you and have it notarized, if applicable in that state. A physical inspection is required by an official state inspection station before title can be issued on the out of state vehicle. Contact your title office for the location of the inspection station closest to you. 11. I have an assigned title for the vehicle I am driving, but it was assigned a year ago, what do I do? Proceed to any county title office and apply for title. You will be charged a $5 late fee, in addition to other applicable fees. 12. Do I have to go through probate to title a vehicle after my spouse is deceased? The surviving spouse must present a title in either their deceased spouse’s name or both of their names and a surviving spouse affidavit. The affidavit and the application on the back of the title must be completed and sworn to by the surviving spouse. This can either be completed by an attorney, notary public, clerk or deputy clerk of courts. Two automobiles or pickup trucks may be transferred by this affidavit, as long as the combined value of the vehicle is not more that $40,000. A surviving spouse can also take one boat and one outboard motor without probate, using the same procedure as for a motor vehicle. All other vehicles must be probated. The words “surviving spouse” should be entered in the printed comment field of the title. Upon receipt of the title, surviving spouse affidavit, and a copy of the death certificate, the clerk will transfer the title to the surviving spouse. Mileage is not required, but will be put on the title if known. If there is an open lien on the deceased’s title to be carried forward, the original Security Agreement from the lien holder is required. 13. Can a vehicle be titled in the name of a minor? No minor under eighteen years of age shall sell or otherwise dispose of a motor vehicle or purchase or otherwise acquire a motor vehicle unless the application for a certificate of title is accompanied by a form prescribed by the registrar of motor vehicles and signed by one of the minor’s parents, his guardian, or other person having custody of the minor authorizing the sale, disposition, purchase, or acquisition of the motor vehicle. At the time the application for certificate of title is submitted, the adult who signed the form authorizing the sale, disposition, purchase, or acquisition of the motor vehicle by the minor shall be present and shall provide identification establishing that he is the individual whose signature appears on the form. The registrar shall prescribe, by rule the types of identification that are acceptable for the purposes of this section. If the adult who signed the form does not provide identification as required by this section, the application shall be refused. No right, title, claim to or interest in a motor vehicle shall be acquired by or from a minor unless the application for a certificate of title is accompanied by the form required by this section. No clerk of a court of common pleas shall be held liable in any civil action that arises under the laws of this state for injury or loss to persons or property caused when a person has obtained a certificate of title in violation of this section, unless the clerk failed to use reasonable diligence in ascertaining the age of the minor or the identity of the adult who signed the form authorizing the sale, disposition, purchase, or acquisition of the motor vehicle by the minor. 14. What if I need more information? Please contact the Title Department at (419) 627-7626 or write to them at: Ohio BMV, Title Division, P. O. Box 16520, Columbus, Ohio 43216-6520. Forms can also be downloaded from the Ohio BMV website. 15. How do I title a documented watercraft? If the current documented owner wishes to discontinue documentation and obtain Ohio title to their watercraft, they must present to the county a copy of their documentation and a letter from the Coast Guard confirming that documentation has been deleted. If a current documented owner is selling their watercraft to an individual that does not wish to maintain documentation, the seller provides the buyer with a copy of his documentation, a bill of sale and the letter from the Coast Guard confirming that the boat has been deleted from documentation. The buyer presents these items to his county title office to obtain title. 16. Do I need a title for my jet ski? Exception: A watercraft less than 14 feet in length with a permanently fixed means of propulsion of less than 10 horsepower as determined by the manufacturers rating is not required to be titled. If the above-mentioned watercraft was owned prior to January 1, 2000 , no title is required until it is mortgaged, sold or otherwise disposed of (Ohio Revised Code, Section 1548.21). If a title has not been previously issued in Ohio, the owner may present a manufacturer’s statement of origin (MSO) or a sworn statement of ownership. For out of state watercraft, the owner may present a certificate of title, bill of sale, or other evidence of ownership required by the law of another state from which the watercraft came. 17. Do I title a golf cart? An applicant who wishes to register a golf cart or other USV must proceed as described below. A USV is a four-wheeled vehicle other than a truck that is originally designed and constructed for operation on a street or highway. Most golf carts are USVs. The sheriff or chief of police of a jurisdiction where the applicant resides should send a letter to the Bureau of Motor Vehicles (BMV), Title Section, P.O. Box 16520, Columbus, Ohio 43266-0020, certifying that he or she has a program of inspecting golf carts and other USVs. The sheriff or chief of police in the community (city, village, or township) provides the applicant with a certificate of inspection regarding the inspection requirements of the Ohio Administrative Code (O.A.C) Chapter 4501:2-1. Confirm that the clerk of courts title office in the county has been authorized by the BMV to issue titles for USVs to individuals residing in the applicant’s community (city, village, or township). Go to the Clerk of Courts Title Office in the county. The clerk will verify that the applicant resides in a community (city, village, or township) in which the chief of police has certified compliance with the vehicle inspection requirements of O.A.C. 4501:2-1. If verified and everything is in order, the clerk will issue the title. Take the title to a deputy registrar in that county. If all is in order, the deputy registrar will issue license plates. Operate the golf cart or other USV in accordance with Ohio Revised Code (O.R.C) Chapter 4511 and with the equipment required by O.R.C. Chapter 4513. NOTE: If USVs are operated only on private roads, then the operational equipment, and registration requirements would generally not apply. All motor vehicles operated on public streets and highways are subject to inspection as required by O.A.C. 4501: 2-1-01 through 4501: 2-1-21. The obligations of political subdivisions that undertake motor vehicle inspections are contained in part O.A.C. 4501:2-1-03.